The typical price of property coming to the market in the last four weeks is 1.2 per cent lower than in the previous month - but that is entirely in line with the drop at the time of summer in recent years, says Rightmove. “The average fall in new seller asking prices at this time of year has been 1.2 per cent over the last six years, so this month’s fall is exactly in line with the long-term average. The largest price falls at this time of year were 2.0 per cent and 1.3 per cent in 2014 and 2010, with the smallest fall being 0.8 per cent in post-election boosted 2015” according to Rightmove director and housing market analyst Miles Shipside. “With the timing of Brexit uncertainty coinciding with both the seasonal slowdown and continuing the lull following the first quarter buy to let surge, 2016 will be a year of two halves. How different they are will depend upon the strength of the traditional market rebound this autumn, especially at the upper end of the market and within the London commuter belt, which currently appear to be the most subdued” he adds. The sector that would benefit most from an autumn pick-up is made up of larger homes with four bedrooms or more, according to the portal’s data for the past four weeks, released this morning. They are taking the longest time to sell, with an average of 74 days from being advertised on Rightmove to being marked as sold subject to contract by estate agents. 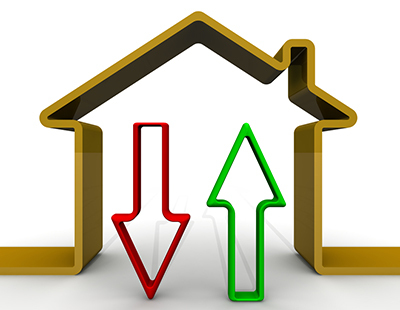 This sector is also suffering the largest drop in new seller asking prices this month, with a fall of 2.9 per cent. First-time buyer homes with two bedrooms or fewer, and second-stepper type properties - typically three bedrooms - are performing the best, with an average time to sell of 58 days and price drops of 0.5 per cent and 0.4 per cent respectively. The southern regions, on average more highly priced than other parts of the country and more influenced by the dynamics of the London market, have had the biggest jump in the number of days to sell in the last two months. Rightmove says some agents, especially in London and its commuter belt, report that the summer slowdown has followed on seamlessly from May and June’s Brexit uncertainty. Therefore time to sell in London has increased by five days between May and July, South East and the South West are up by four days, and the East of England region up by three. “At this time of year interest from buyers of more expensive properties that typify much of London and its commuter belt tends to tail off more, as they are often discretionary movers. Having waited for the referendum result, it now seems that some are also waiting until the summer holidays are over before reviewing their course of action” suggests Shipside. 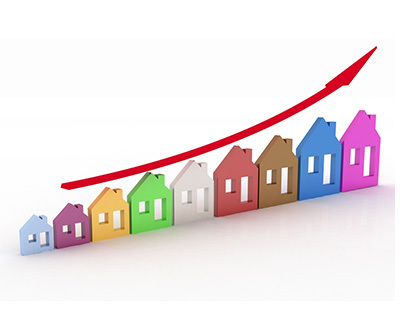 July buyer enquiries to agents are 18 per cent down on what Rightmove describes as the ‘election-boosted’ July 2015 figure, though are four per cent up on July 2014 which is a better basis for like-for-like comparison. Buyer enquiries to estate agents were down from June to July, by five per cent to 1.6m.